Do you have “symptoms” of nutritional debt that make you feel bloated, fatigued, and hormonal? Are you tired of hearing mixed messages about nutrition that leave you confused about what to eat? That is what Butter Nutrition is here to help YOU with. Nutritional Therapy is the therapeutic and strategic use of food to build up nutrients in the body. Pretty cool– right? 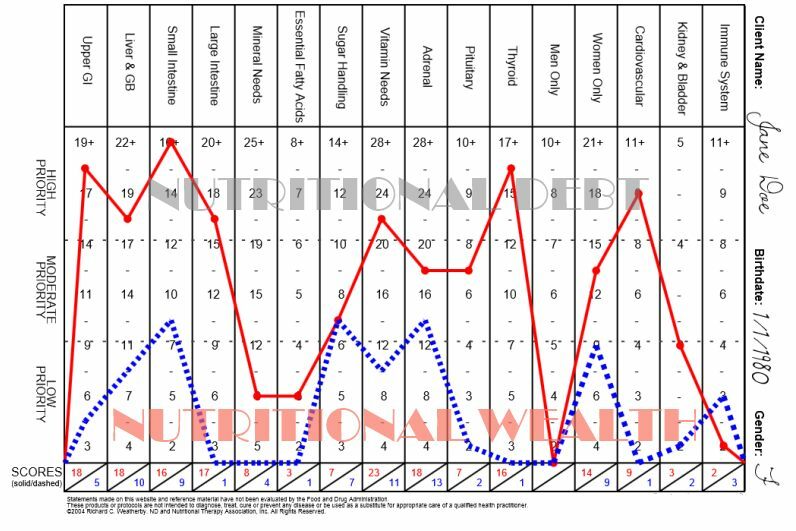 The red line on the graph represents the intensity of symptoms upon starting nutritional therapy. The blue line represents a re-test of symptoms 8-12 months later! As you can see, the higher graph points are, the more nutritional debt that is present. Over time, with targeted nutrition, these numbers decrease as you become more and more nutritionally wealthy! Using non-invasive diagnostic techniques to determine your body’s areas of stress, we are able to create a plan catered specifically to your needs. We provide education, support & troubleshooting to maximize your success!